SUNDOG PRODUCTIONS solving DYEING CONTRACTORS production and contracting needs. Description: Custom dye work, design work or screenprinting on tee shirts. 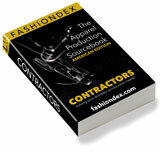 Compare SUNDOG PRODUCTIONS with all 25 listings in DYEING CONTRACTORS.